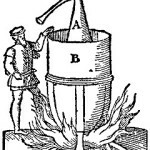 1494 – The first documented record of distilling in Scotland, when an entry in the Exchequer Rolls listed “Eight bolls of malt to Friar John Cor wherewith to make aqua vitae” (water of life). 1644 – The first taxation measures are introduced by the Scottish Parliament with the introduction of a Malt Tax. The legislation was very unpopular and the tax proved to be very difficult to collect. 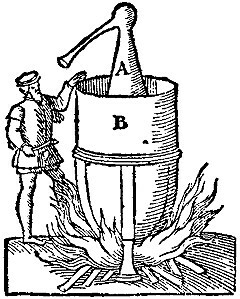 This period saw the advent of the illicit still in Scotland. 1707 – Scotland is joined with England in the Act of Union. Ever increasing rates of taxation on Scotch Whisky and the creation of the Excisemen hardens the resolve of the illicit stillmen. 1784 – The Wash Act establishes a precise, geographical “Highland Line’ separating the Lowlands from the Highlands for purposes of differential excise levels. Single malt whiskies are still categorised using this ‘Highland Line’. 1823 – The Excise Act sanctions the distilling of whisky in return for a license fee of £10 and a set of payments per gallon of proof spirit. This dramatically reduces the number of illicit stills operating in Scotland. 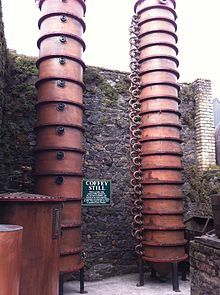 1831 – Aeneas Coffey invents the Coffey or Patent Still, enabling a continuous process of distillation to take place and leading to the production of grain whisky – a less intense spirit than malt whisky. 1853 – Andrew Usher initiates the blending revolution by combining malt and grain whisky together for the first time. It produces a lighter flavoured and consistent whisky – Usher’s Old Vatted Glenlivet. 1880s – The phylloxera beetle devastates the vineyards of France. As a result, wine and brandy virtually disappear from cellars across the world. Scotch Whisky quickly replaces brandy as the preferred spirit of choice. 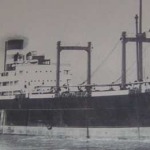 1941 – The SS Politician bound for America with a cargo of whisky founders off North West Scotland. Her “liberation” provides the natives of war rationed Eriskay with a welcome tonic. 2003 – Scotch Whisky is Scotland’s biggest indigenous industry supporting many local communities. It is the world’s leading international sprit and is exported to over 200 countries worldwide. 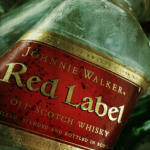 1779 – Justerini & Justerini sell whisky in London. 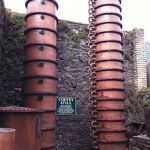 1779 – Bowmore Distillery founded. 1816 – Sikes hydrometer adopted. 1816 – Laphroaig Distillery founded. 1826 – First patent for a continuous still awarded to Robert Stein. 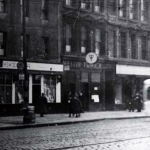 1826 – James Allardes of Glendronach takes out a license. 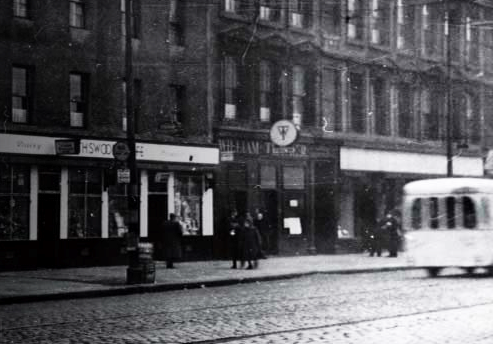 William Teacher is awarded a ‘license for consumption’ and opens the first famous ‘Dram Shop’. 1959 – Tormore, the first new distillery to be built in the 20th century in Scotland. 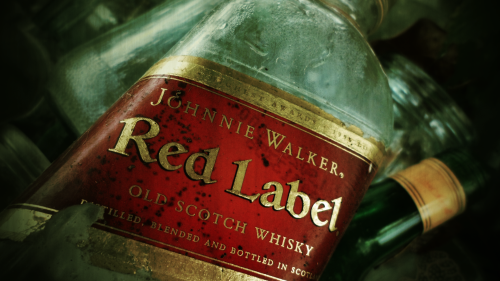 1959 – Whisky rationing in the UK ceases. 1994 – 500th anniversary of whisky production in Scotland. 1994 – Arran Distillery founded.